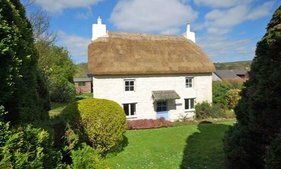 Would You Like A Unique Property Forum? We’re considering a new interactive addition to help readers in the quest to find and renovate their unique property. Yikes, This Internet Forum Photograph Is A Bit Bright & Busy! But apparently ‘wordclouds‘ are one of the things on our ‘to do’ list – along with the possibility of creating that ubiquitous internet dynamic: the interactive forum. Firstly a big thankyou to all the readers who emailed and phoned with kind wishes for the 25th anniversary edition last month. In amongst the messages were several folk who were asking for advice. 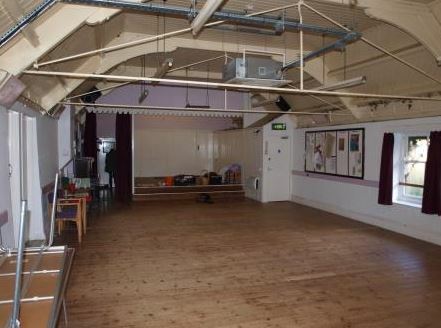 How much would it cost to convert a church into a home with a mezzanine floor? Should the stained glass windows be halved or do you know how the full effect system works? Another reader was asking about what the newish pre-planning system means and does it have any validity. A structural solution for Unique Property Bulletin to help answer the regular flow of questions such as the above is to add an interactive forum to this website. We’ve thought about it in the past. Perhaps it’s now time to add this feature? In fact if it wasn’t for an internet forum elsewhere – and a very dear friend who ran it helping the authors of www.uniquepropertybulletin.org understand basic website construction, then the Bulletin that you are reading right here, right now, would simply not exist. We are positive that there is a healthy demand for a unique property forum. We also believe from 5 years experience of this online paperless version of Unique Property Bulletin that dozens upon dozens of readers have secured their own ideal home through the ethos of sharing unusual properties on this website and related platforms (plus the occasional nudge and a bit of mischief making from ourselves). For sure, a Unique Property Forum would help real people with actual projects. But to do this will require admins and moderators to run the forum. So this is a curtain call to see who amongst our readership is up for helping with a unique property forum? Over the years, a best bit of this whole endeavour has been the making of many good friendships. So all-in-all, a lot of good could come from establishing an interactive unique property forum. But like many things, there is a lot more to this than meets the eye. The key to making a Unique Property Forum work is sufficient volunteers to run the facility. Plus some IT help on the dedicated website workings in this respect. What say you? 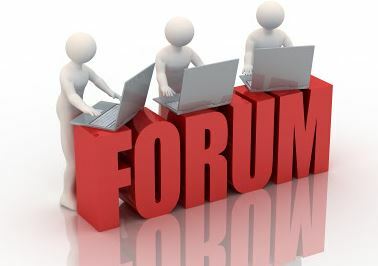 Views and offers to assist as a property forum “Admin” and/or “Moderators” warmly welcome: click here. 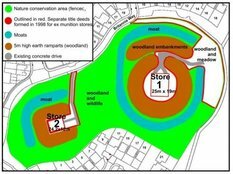 This edition we look into the topic of a potential Unique Property Forum and ask new members and old to contribute to the debate. The Full Article Appears Later In This Edition. The Old Church – A Large Detached Building For £60,000. 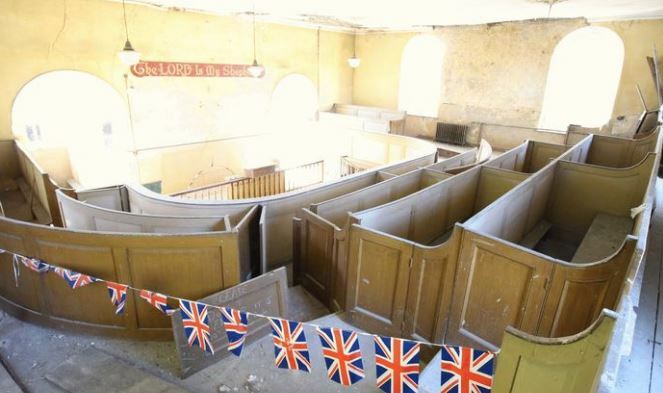 We’ve featured many former churches on this website, but this is one has something a little bit special. Just looking up at the beautiful ceiling beams was the first thing to catch our eye. 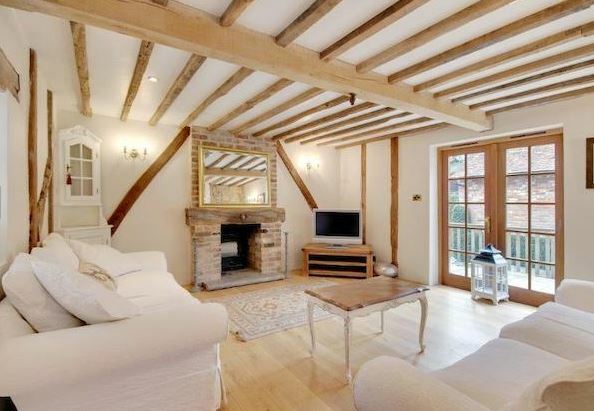 The wood and beams are exquisite. The building warrants are also in place. The church dates from 1879 and is not listed. 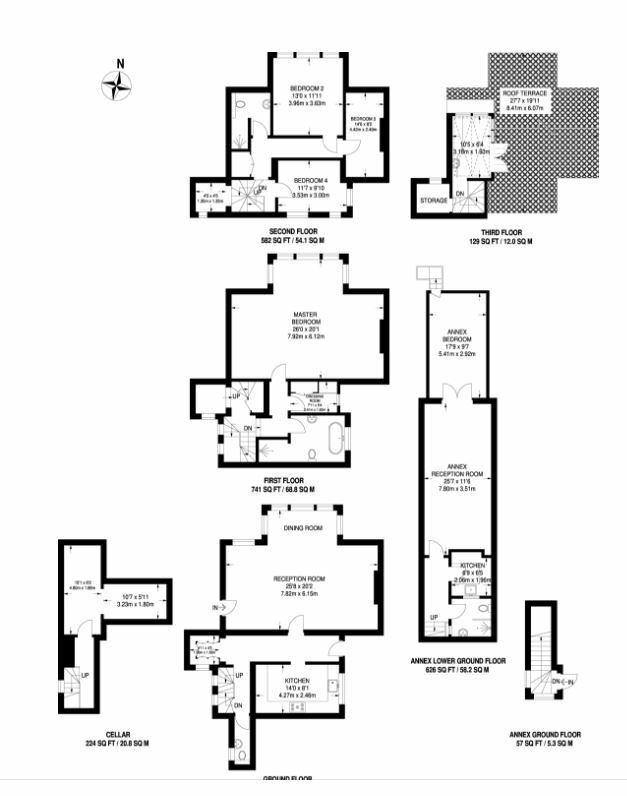 The plan drawings can be obtained from the owner via the link below. 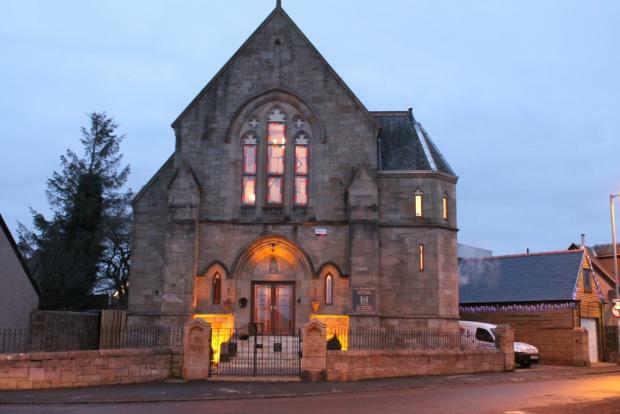 Address: The Old Church, Pettinain Road, Carstairs Junction, Lanark, ML11 8RF. 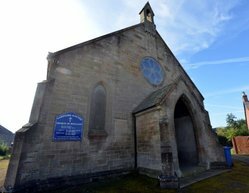 Please can folk let the owner know that you found this old church for sale in the Unique Property Bulletin. By helping us this way, we can continue to help you. Can A Bank Building Be Beautiful? This property doesn’t look that big from the front elevation, but if you click on the map link below, you will see that the depth is considerable. Approximately 2,113 sq ft (196 sq m) to play with. Our own view is to seek a change of use permission for half of this property into a home. Leave the other half as A2 (office use). That way, if planning permission is given, you will be getting a place to live and work. 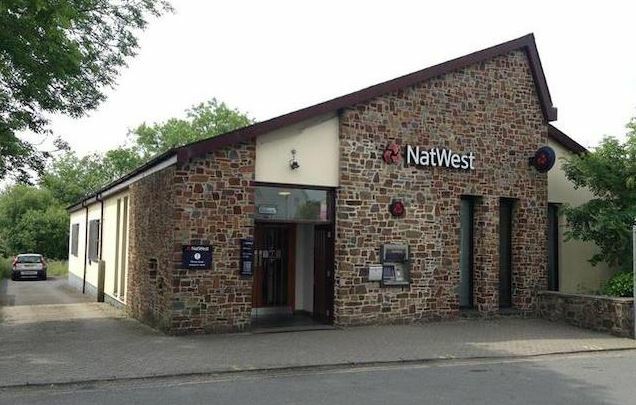 We would wager that on any given day in this building’s former life as a bank, there was much more money in it’s main safe than will be required to buy and convert. There is something that just sits right when an old bank – so often the scene of “the manager says no” and terminating lifes’ dreams – may just be the place where you start your new business and lifestyle. Your dream, made real. Next step, choose something that you really enjoy. If it is internet based, then by having a public part, you will enjoy some interaction. This is actually quite an important issue for those who work on the internet in smallish businesses. There is an element of social exclusion. The banter and friendship of work colleagues can be missed. By balancing your work and life carefully, you can end up striking quite a good note for a harmonious style of living. Not bad for around ninety grand. Contact GVA – Tel: 0117 988 5254 – Chris Wright. 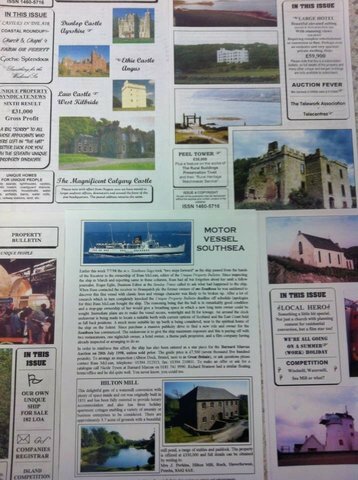 Please can folk let the owner/agent know you found this old bank for sale in the Unique Property Bulletin. We are then able to demonstrate to the estate agents selling each property that our not-for-profit websites help their clients, and in so doing can encourage them to support the Bulletin. By helping us this way, we can continue to help you. A virtuous circle. News just in. TWO coming up for sale imminently. Watch this space. We will insert details in this segment when available. Please check back regularly to find out more. 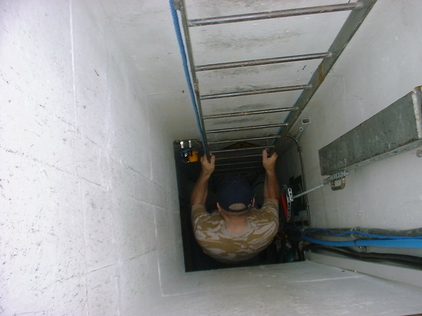 Typical UKWMO Surface Entrance. Easy To Miss. 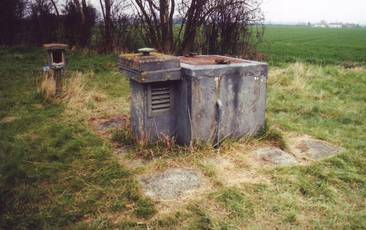 It’s Just A Concrete Box With A Steel Lid. 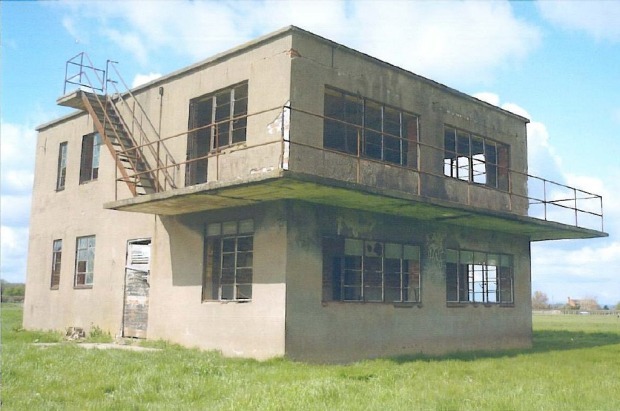 The owner of TWO former ROC UKWMO underground observation posts has confirmed he wishes to place them for sale through Unique Property Bulletin. 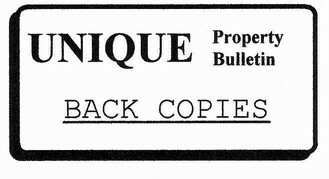 He is preparing details and we hope to have these ready for the late February/early March 2017 Unique Property Bulletins. 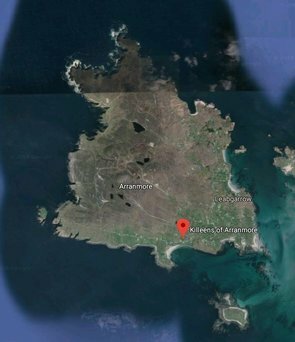 So you can either check this spot in the current February 2017 edition every few days as we shall put the link to the dedicated webpage at this segment as soon as we have the go ahead. 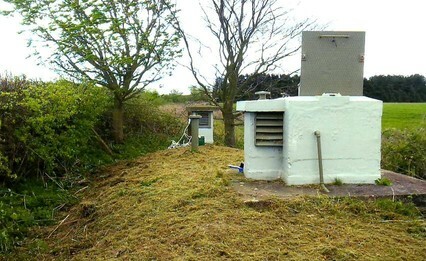 Or you can see both UKWMO bunkers featured in next Unique Property Bulletin scheduled for 9pm on Sunday 5th March 2017. To this main room, plus shower and porta-w.c. room. We will insert details here, at this segment, as soon as they are firmed up. 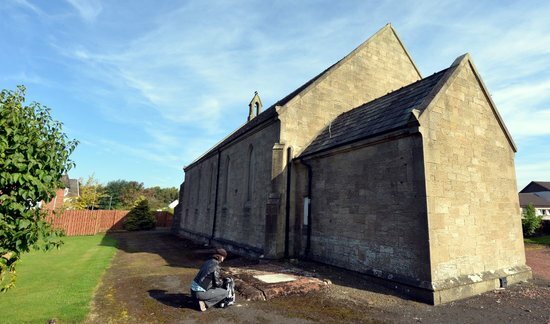 Grade II Listed detached chapel to be sold at auction. Planning Permission to convert into a 3 bedroom home. As always we recommend readers check the status of the planning caveats and longevity before bidding/buying. Also, if you happen across this listing after the auction, it is always worth checking if the lot actually sold on the day – for if it failed to sell at auction, that puts you in a fairly strong negotiating position as a post-auction buyer. We mention this FTSAA (failed to sell at auction) issue because previous efforts to sell at £100,000 were inconclusive: click here. This view is based on the fact the chapel remains for sale and the price has dropped to £80,000: click here. 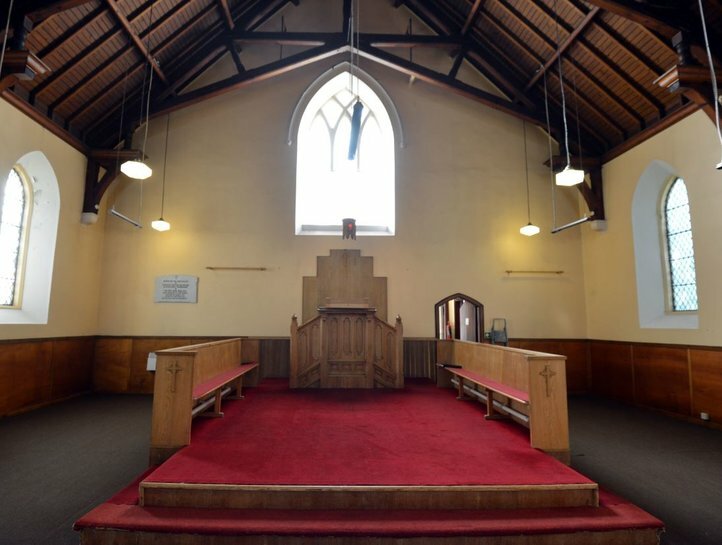 The former Ebenezer chapel may now be a bargain that the other Ebenezer – Scrooge would like. Just thinking about the name Ebenezer, it’s had a fairly bad rap. You don’t get many kids nowadays sporting the name Ebenezer. I wonder why. An unusual scheme has been proposed, with the living accommodation on the first floor and the sleeping quarters on the ground level. Emphasis has been placed on retaining many of the original features which remain in situ, including ornate plaster-work and cornicing, full height Gothic-glazed round-headed windows to all sides and the traditional iron railings to the front. The chapel is still very much arranged as its former use, with an open ground floor, raised pulpit and tiered pews on the first floor. The Old Chapel. By The Condition of This Building, These Are Perhaps Coronation Flags From 1953! Outside to the rear of the property is a hardstanding area providing an off street parking space. The front the property is forecourted with feature iron railings. 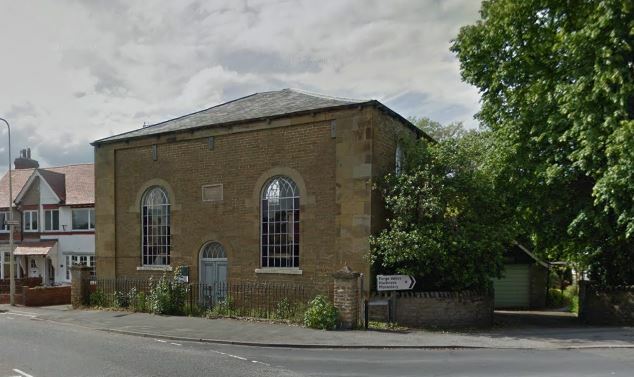 The Chapel is located in the heart of East Ayton village. The popular twin villages of West and East Ayton sit on opposite sides of the river Derwent, just a few miles west of Scarborough on the main A170 Pickering Road. 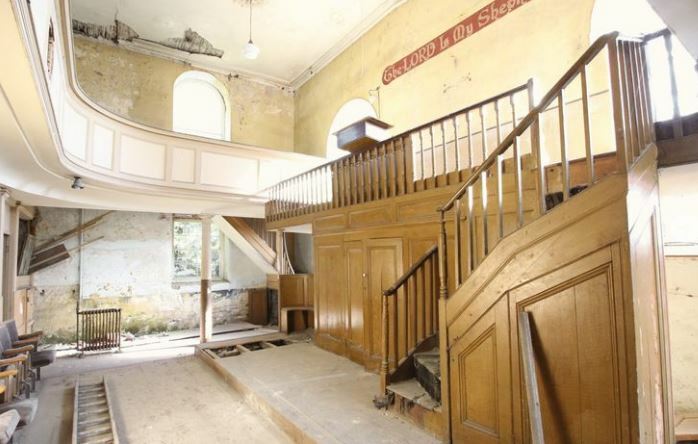 Contact 01723 352235 – Tel: Please can folk let the owner/agent know you found this old church for sale in the Unique Property Bulletin. 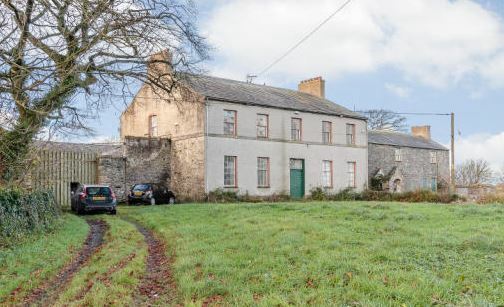 This is a substantial property built by Sir Thomas Telford as part of the Post Road (A5) from London to Ireland in the early 1800’s with Mona Inn opening to the traveller in 1821. Just one look at the substantial stabling block illustrates how important this stage was in the construction process…. A little imagination and the sound of wooden wheels and horse hooves from the old coaches can almost be heard echoing from 196 years ago…. 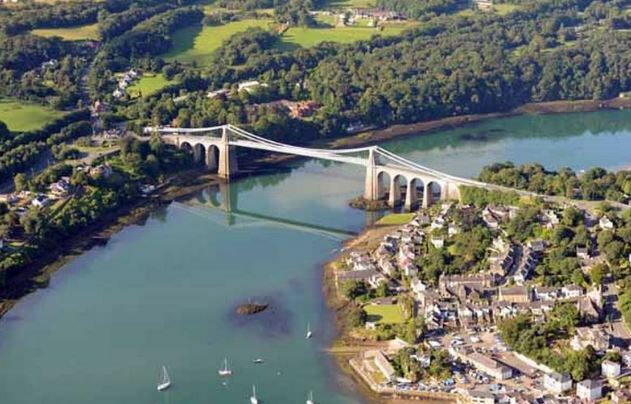 From London To Ireland – The Anglesey Route. This is actually how it was done in the majority between 1820 to 1920. 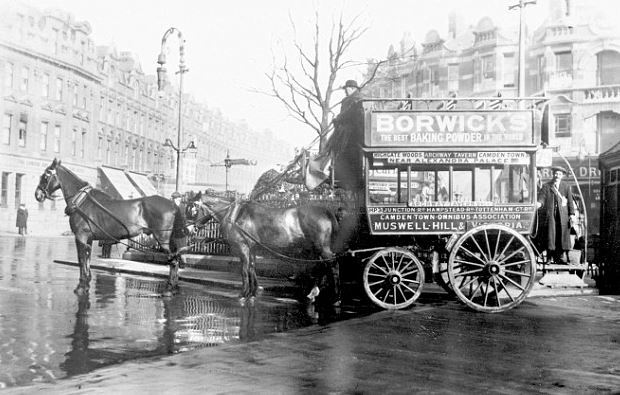 Even nowadays this is a ‘live’ route, albeit with those pesky infernal combustion engines added. The very builders of the A5 Post Road and the integral Menai Straits Bridge would have enjoyed the hostelry provided at the Mona Inn. Now, almost at the bicentennial, the old place needs a major renovation, but for the right person, this will be a landmark project. The place has a great amount of character and history. There are many more photographs on our dedicated webpage below – plus 50 more on the link at the bottom of our Mon Inn page. 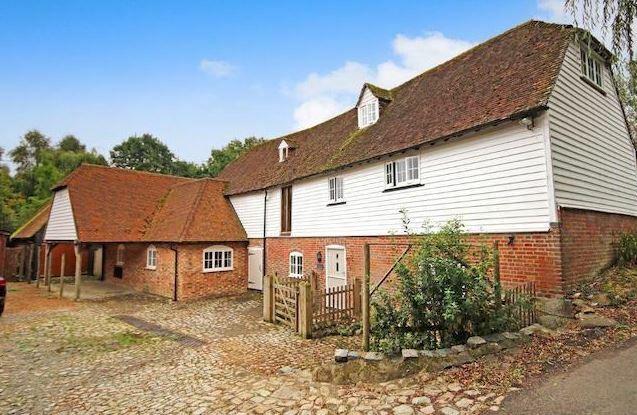 If you do buy this amazing and historic building, please let us know how you get on. Not least but there is at least one television company regularly poking us for property to feature on their series! 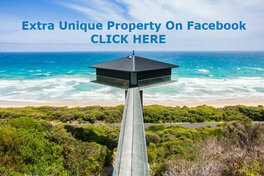 To contact the owner: Click Here – Unique Property Bulletin will be happy to make the introduction. We love the Isle of Wight. 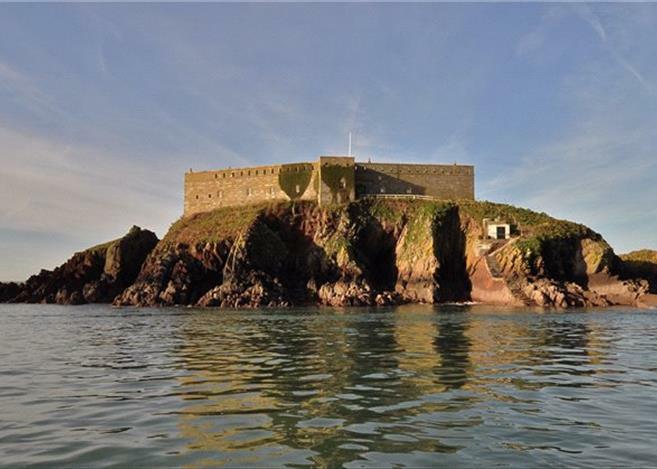 If it wasn’t for this island gem on the south coast, you wouldn’t be reading this Unique Property Bulletin. 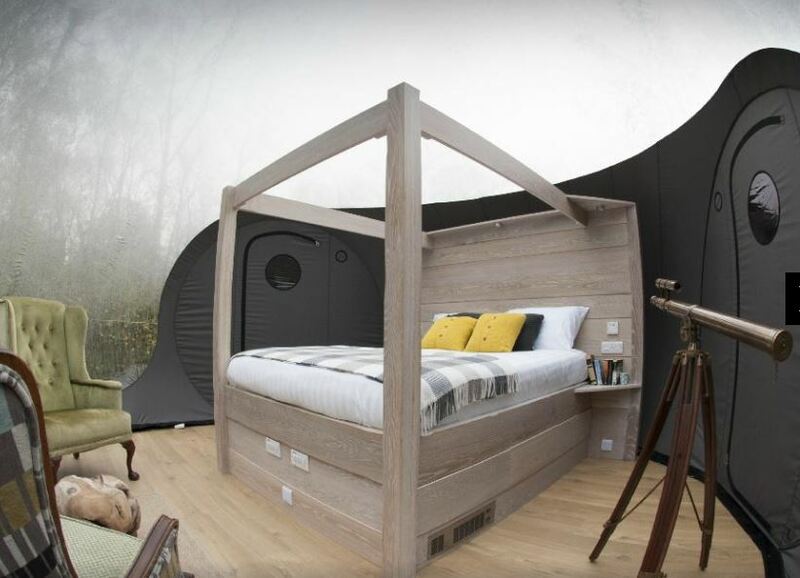 Indeed several readers would not be living in their current unusual homes. Photo (c) 2012 McLean & Evans Collection. 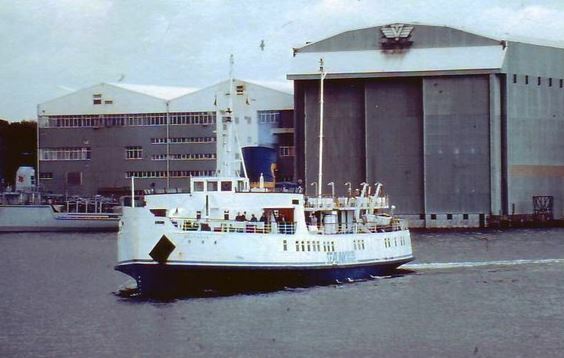 In 1998 our embryonic property club bought this old ferry. The ship used to ply the Isle of Wight route from Portsmouth to Ryde. In 1988 her owner’s, Sealink retired the ship and put her on lay-up at the River Fal. Several years later an enthusiast bought her and took the ship to Albion Drydock in Bristol for a refit. Sadly his company went bust. The ship was at real risk of being scrapped. Our promise to the Southsea Ship Enthusiast Society was that she wouldn’t be scrapped on our watch. A mini adventure included dialogue with Aardman Animations. They were just 3 minutes away from what we proposed would be a static role for the vessel as a quayside office extension for them. Wallace and Gromit nearly grew sea legs! 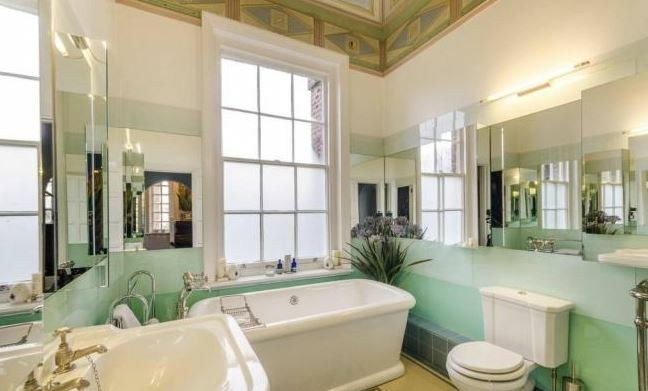 This beloved old tub was irresistible. The Bulletin bought her. This became our very first outing of what would become a series of 18 unique property club adventures (so far). There is a long story for another edition, although anyone wanting to know how our unique property syndicates work, just type the word “SYNDICATE” on our contact page (click here) and we will put you on our email news list. 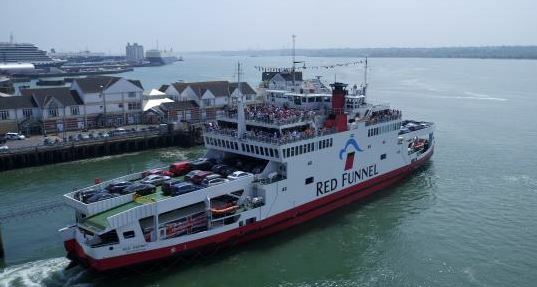 Just for the record, the Isle of Wight ferry – MV Southsea – was bought by our club for £5,000. 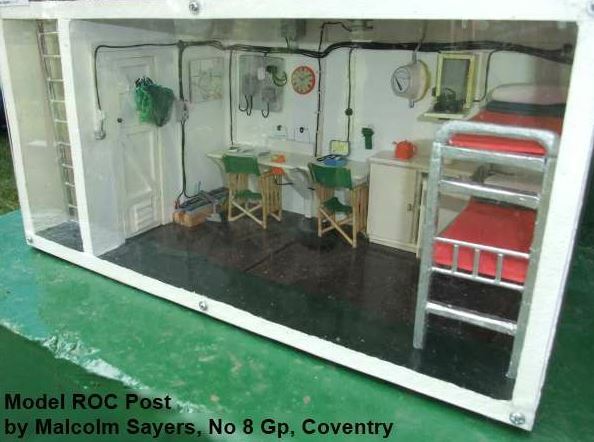 Resale price £23,300. Gross profit: £18,300. The net profit of £15,618 was distributed amongst the 5 participating Unique Property Bulletin club members. Each had popped £1,000 into the ship and out had come a cheque for each of £3,123.60. Plus a lot of enjoyment. It is worth noting that there is effectively a shop window at the front of this property and to the back a substantial two storey element to this building. In our view the property would make an excellent combined live-work conversion: subject of course to the necessary planning permissions. 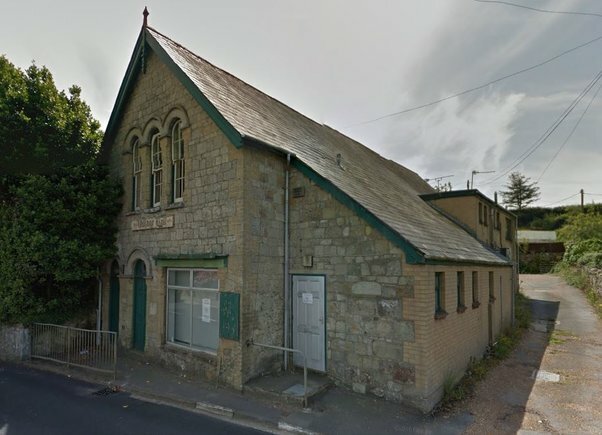 Auctioneer’s narrative: Situated in the popular village of Godshill, this two storey building has for many years served the local community as a typical village hall on the first floor, with a main hall area which has been used for a variety of social events. The ground floor has been sub-let to provide a useful income for the Parish Council and has previously been in use as insurance offices and storage, and as a social club. A garage to the rear of the main building is not included in the title, having been sold off many years ago with an adjacent house which was in the ownership of the Police Authority. 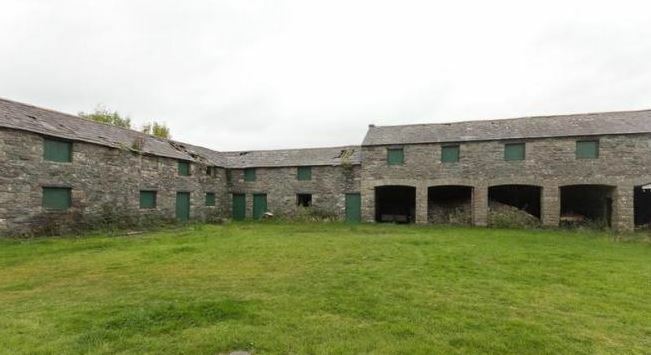 There is parking to the rear of the building, which is set on a plot of 0.04 hectares (0.11 acres), and it is considered that the building could serve a number of future uses, subject to all necessary consents being obtainable. Last but not least, having lived on islands for most of my life, there is still something exciting about catching a ferry home. If you like the looks of this old village hall – and the price seems good – then why not take a couple of days away and visit the Isle of Wight. Address: Godshill Village Hall, School Road, Godshill, Ventnor, Isle Of Wight. PO38 3HJ. 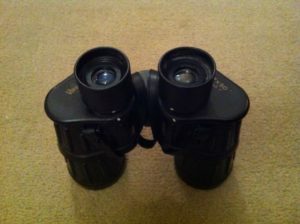 Contact Clive Emson Auctioneers – Tel: 01489 564606. 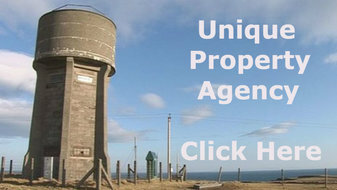 Please can folk let the auctioneer know you found this old village hall for sale in the Unique Property Bulletin. It is very rare, perhaps 30 to 90 minutes a year of 525,600 minutes, but if you find our website offline, please go to the backup version. We run TWO near identical Unique Property Bulletins for safety. One is web hosted in Austin Texas, the other in Reykjavik, Iceland. All you need to do is change the ending from .org to .co.uk – or vice versa. That way you will always be able to get onto our website. 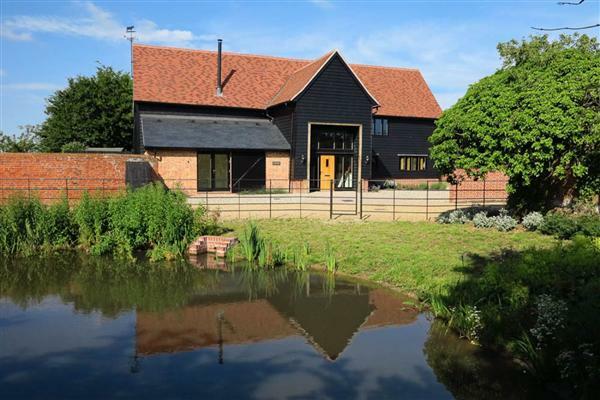 Cool Property From Hot Kilns? We do our best to cover all geographic areas in the UK and a broad spectrum of price ranges. 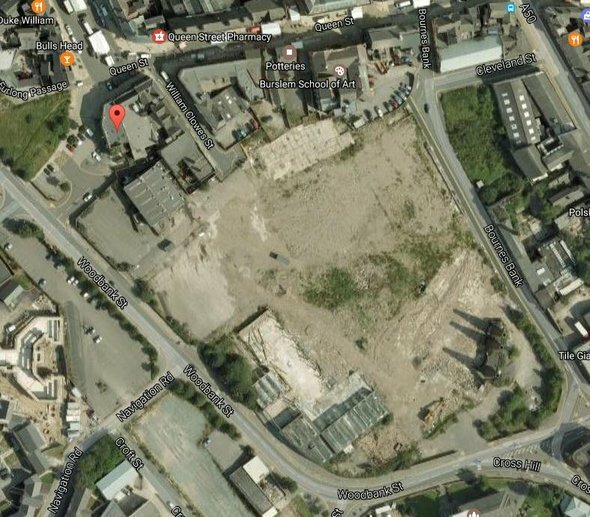 This former pottery factory site is a fairly big lump of land and with a price guide of £400,000 seems a great deal for a building site. 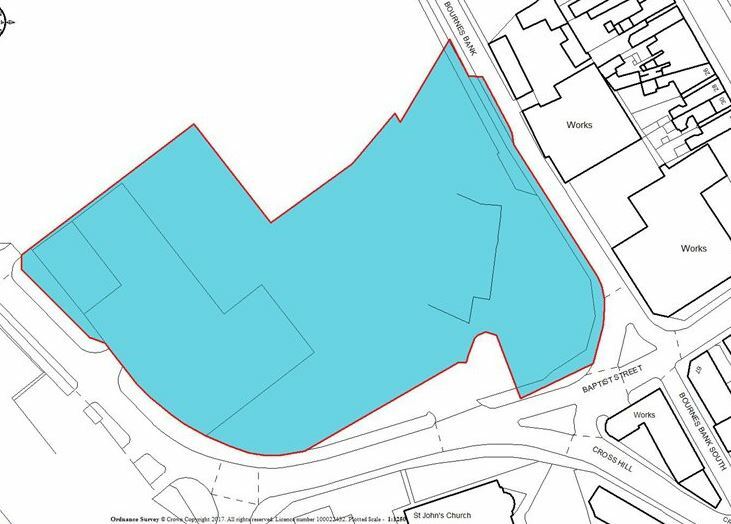 This large area of land, plus adjacent land had live planning permission for 265 residential units. That was in 2004. There have been sporadic efforts to reignite the kiln site development over the years – the most recent being January 2016. But nothing concrete yet. Perhaps the worldwide banking crisis. Possibly local factors. Who knows? Perhaps time to start studying this project in finer detail. So either a big firm of house builders will do the honours and scoop up this for landbanking or development. Alternatively, perhaps four readers might consider £100,000 each and have a very interesting time with a potential building venture of 20 to 40 or so homes each. Project managing this carefully could result in several of your 30 homes being your profit. Auctioneer’s Map Showing Which Part Is Being Sold. 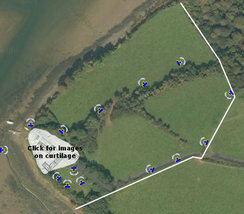 Compare the aerial photo and auction map to get some perspective as regards the whole site’s 265 house build application. Is it just us, or does that look like over 50% of the site for auction? Room for 130 newbuild houses. That’s about £3,000 land cost per home! What strikes us here at the Bulletin, and we have picked up similar unfinished projects, is that the council local plan seems to favour the residential permission being sought. 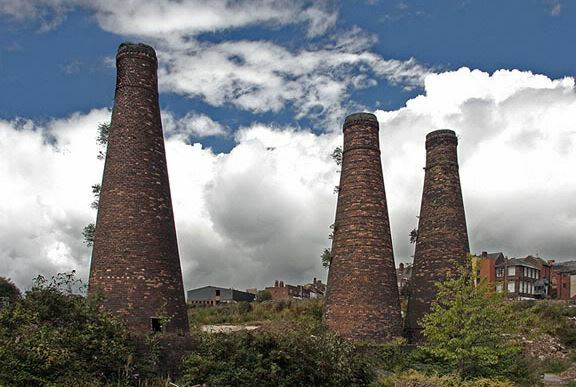 When you mine down into the documents, the refusal appears to be for lack of a suitable restoration and incorporation of the listed bottle style kilns from the old Acme Marles pottery company and a lack of affordable housing within the design. Also an absence of live-work units. All of this can be remedied. We don’t have the current forensic details to hand, Anyone who has our Manual (click here) should be able to trace a lot more information. 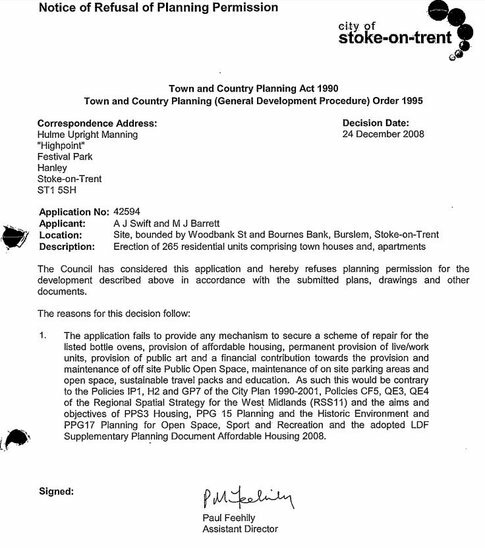 Here is a sample of what is at the local Stoke-on-Trent Council planning Department. Surely worth giving the local planners a telephone call or email to enquire about their view and local knowledge for this site (here). 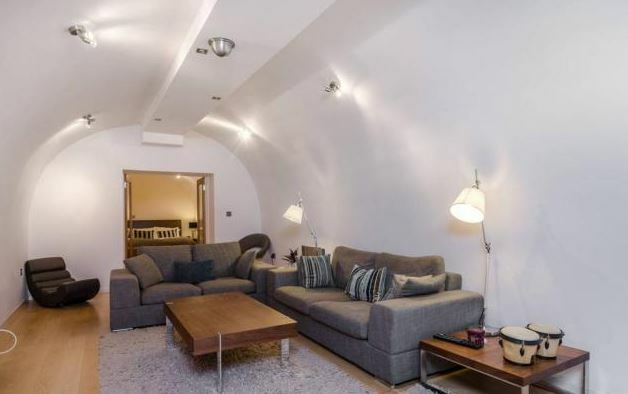 We love unique property and live-work spaces. What’s not to like in this refusal advisory? Our main point? If 4 folk got together, and agreed say £90,000 each (an opening bid of £360,000 is a fair one) then it becomes much more manageable. You’d be getting over half an acre each and a very interesting canvas upon which to draw an imaginative set of newbuild houses for this site. There is of course a LOT of work to be done in research, planning, architect consults, 106s, infrastructure costs/builds etc. But there is something about this site that caught our attention. Please note, the site has been split. You are not buying the large whole area that had the 265 house application. But if you look at the auctioneer’s plan and compare it with the aerial photograph, the current sale is for a huge part of this site. 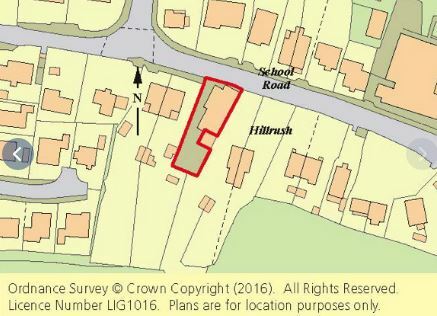 Surely room for between 50 and 100 homes on this current building plot of 2.29 acres. (usually 12 small detached houses per acre. Or high density 24-48 houses per acre). The fun part must surely be sitting down with an architect and working our what imaginative feature you could make with the three old bottle kilns from this former pottery. Contact Roy Pugh & Company – Tel: 0345 505 1200. Please can folk let the auctioneer know you found this old pottery factory land for sale in the Unique Property Bulletin. 18 since 1998. The next 3 fully booked. A Lighthouse purchase on the horizon. Are you curious how these unique adventures work? 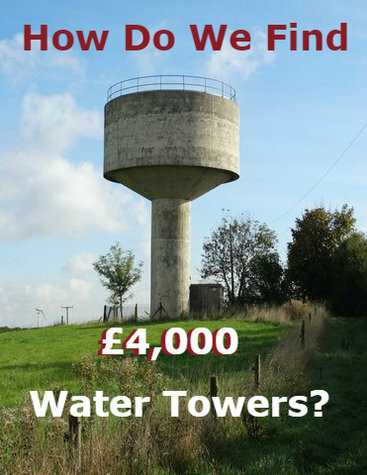 purchase price of £22,500 – to a resale at £46,000. …and type “SYNDICATE” in the subject line on our contact form and we will do the rest. Not quite the same as that American television series: here. But definitely an interesting experience. 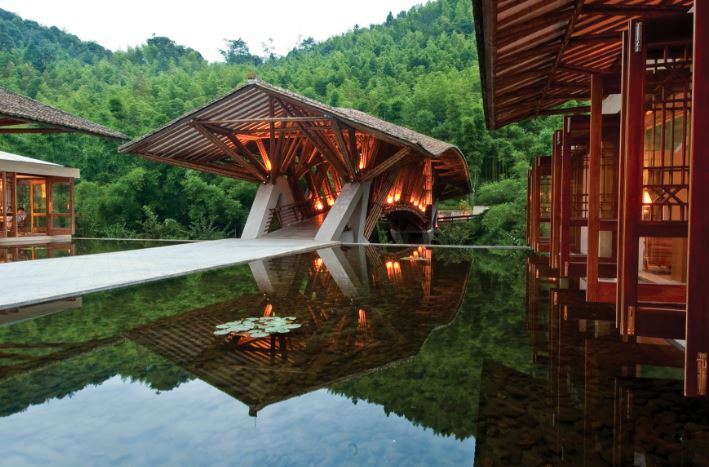 This particular structure is located in 50 acres of peninsula with forest trails, tennis court, restaurant. The blurb mentions a perfect setting for a romantic getaway. Not to sure how intimate you’d want to be in what is a very large goldfish bowl for any passing rambler to watch! 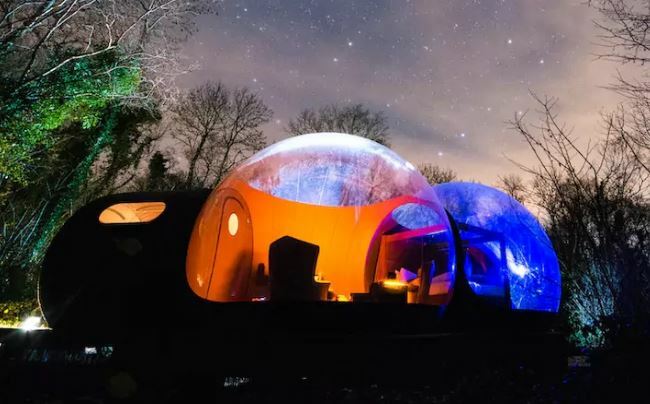 Although the views of starlit night sky are undoubtedly something spectacular. Plus the island and grounds afford nearby luxuries that go with it. 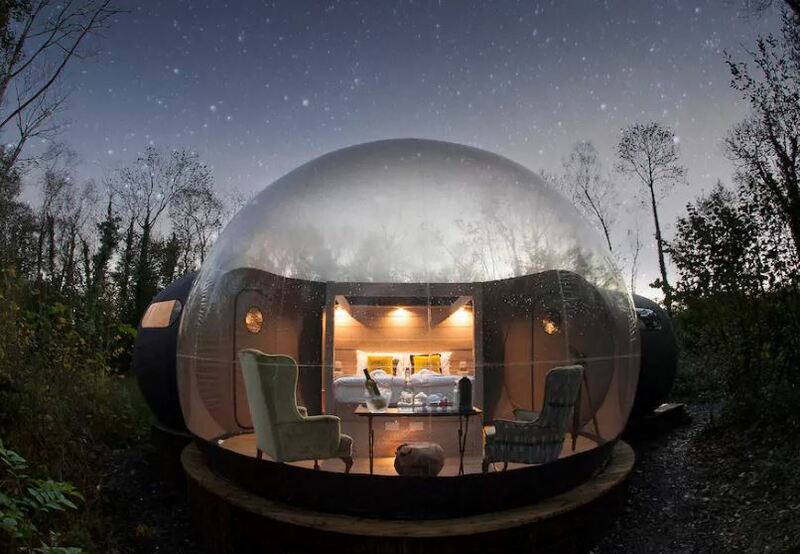 This bubble dwelling comes equipped with ensuite bathroom, luxury toiletries, Nespresso coffee machine and fluffy robe and slippers for a very nice visit. For our money, the main event is the inspiration that visiting this genre of structure will evoke. Locate the manufacturer, or build one yourself. Whatever the result, one of these for home or in the grounds of your house would be something special. Guide: From £215 for two sharing. £125 pppn. Special deals for weekends and longer visits. Contact: +4428 683 80360. Email: team [at] finnlough.com . 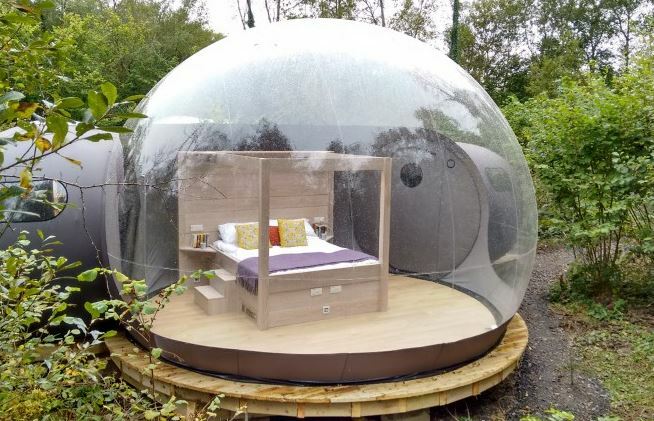 Please can folk let the owner know you found this bubble house in the Unique Property Bulletin. We are then able to demonstrate to the estate agents selling each property that our not-for-profit websites help their clients, and in so doing can encourage them to support the Bulletin. By helping us this way, we can continue to help you. A virtuous circle. 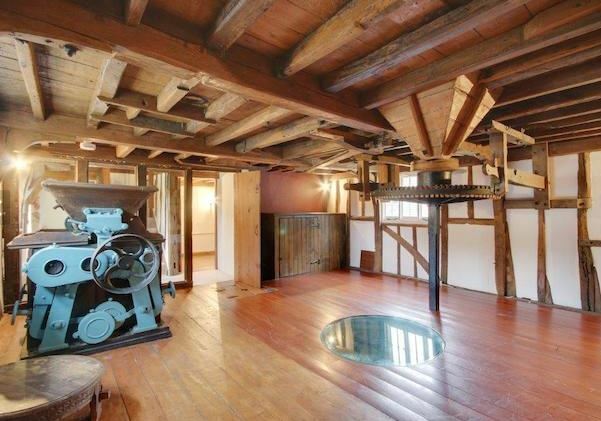 Chegworth Water Mill For Sale? This is almost a picture postcard property – the ones you see made into beautiful jigsaw puzzles. 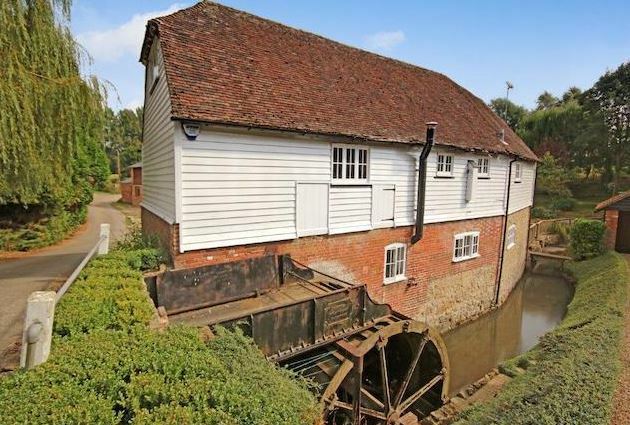 The old watermill has been off-on-off the market, so even if you are reading this weeks or months from the original segment here, please persist in sleuthing. The property remained unsold for a while and was put up for rental. The standard Assured Shorthold Tenancy system runs in 1 year and/or 6 month cycles. So this means that if the owner has it ‘off market’ for a while then it may well come back onto the sale lists – in 6, 12 or 18 months time depending when a tenant decides to move away. Better still, if you do like the look of this property and would consider buying it, then invest £8.11 in our Unique Property Manual so as to proactively find ways to contact the owner and establish if/when it is likely to come back up for sale (click here). There are a significant number of off-market sales where the seller derives a comfort knowing they have a buyer, and the purchaser knows they have the grace to get a solid offer together without wasting thousands of pounds in legal and survey fees, only to risk being gazumped at the eleventh hour. Contact John Graham Agencies – Tel: 01303 396917. 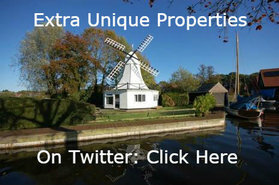 Please can folk let the owner/agent know you found this old watermill for sale in the Unique Property Bulletin. £25,000 in 1976… 2017 and it’s a little bit more expensive! Why don’t you have more buildings featured from the London area? The answer is fairly straightforward. The Capital property market is vibrant and supersonic. So often we have tried to include interesting places from London, but within just a few days the “sold” sign goes up. 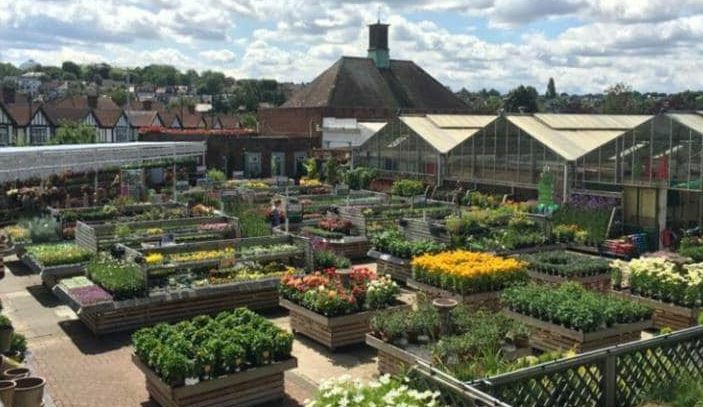 Worse, we then get frustrated emails from folk who either got quite excited and then saddened at the underground station, church or water tower being sold so quickly, or they had actually gone for a look and wasted time. So we have trepidation when including anything from the London property scene. However, this one is rare, it ticks so many boxes we simply had to list it, and the price tag is likely to mean it sticks on the sale list for at least a few weeks. If only for the sellers to give all interested parties the grace of time to sort out survey, finance and make their best offer. This is a substantial chunk of Castle at Maze Hill in London. In fact this is a unique property syndicate by four people entirely unrelated to our own group. 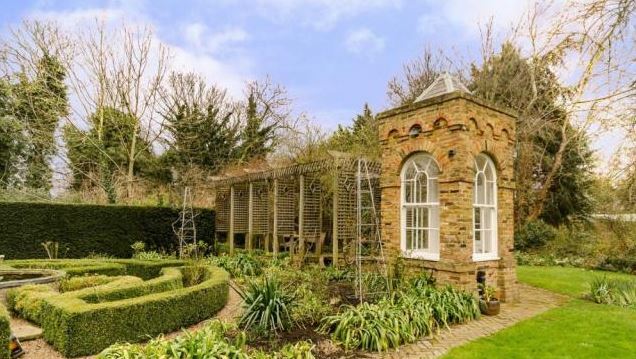 The London quartet bought this vast castle for £100,000 and split it into four homes. Not bad: £25,000 each. Although that was back in 1976 – click here – and yes you did read that correctly, just one hundred thousand pounds for an actual castle in London. An exciting home comprises a wing of one of the most prestigious, early Georgian buildings in Greenwich. 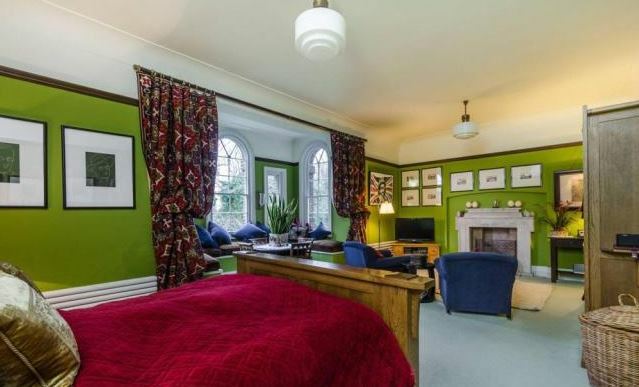 The five bedroom Grade I listed castle offers spacious accommodation with many period features. 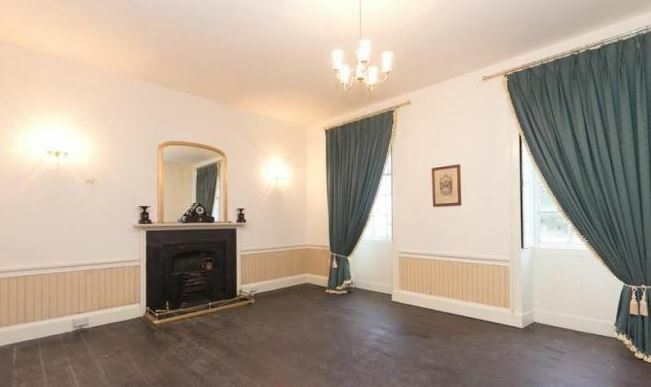 Agency Summary: Beautifully presented five bedroom house over four floors. Grand reception room with dining space. Spacious and well equipped kitchen. Set within 2.5 acres of beautiful communal gardens. 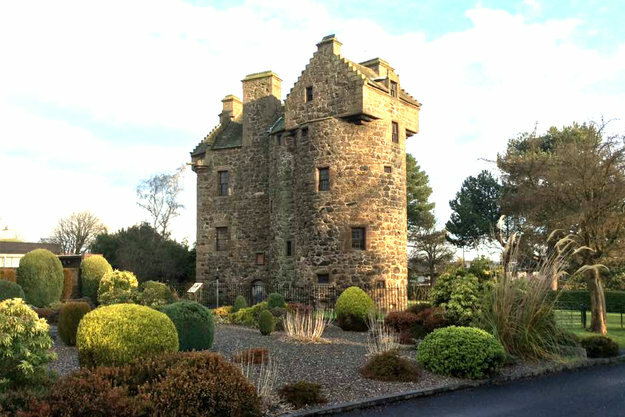 It’s quite a thought to consider that in 40 years this quarter of Vanburgh Castle has gone from £25,000 to £250,000 and is now a significant slice above above £2,500,000. So this piece of London castle has increased a hundred fold in four decades. Contact Foxtons – Tel: 020 8879 2179. 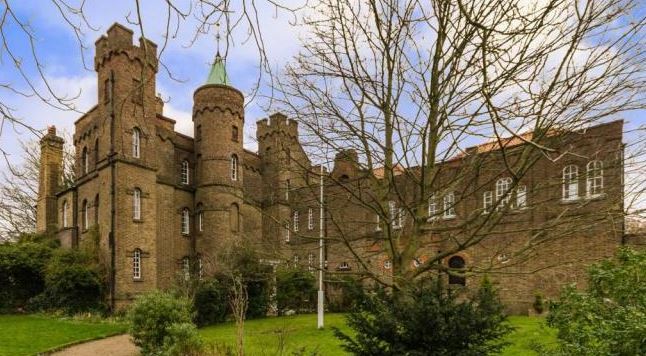 Please can folk let the owner/agent know you found this London castle for sale in the Unique Property Bulletin. If you can email the correct name of this diminutive pot sized castle to us by 28th February 2017 you will win one of three copies of Unique Property Manual. Trebling your chances of a prize from previous competitions. We popped out to take the inaugural photo of the castle above which is but 5 minutes away from Bulletin HQ. Easy. 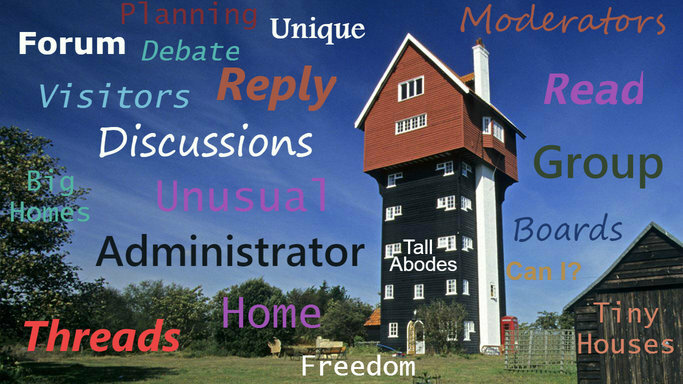 From many years on the go, we know that readers are located in every corner of the UK and as such, you are likely to have an old windmill, lighthouse, air control tower, church conversion water tower near to you. To enter into the photograph competition, please send us an email on our standard contact form and we will then sort out the jpeg attachment/submission process for you. Good luck. Just a text email first and we will sort out the jpeg transfer in the reply email. Please note, in each edition of the Bulletin we feature the work of a unique architect. 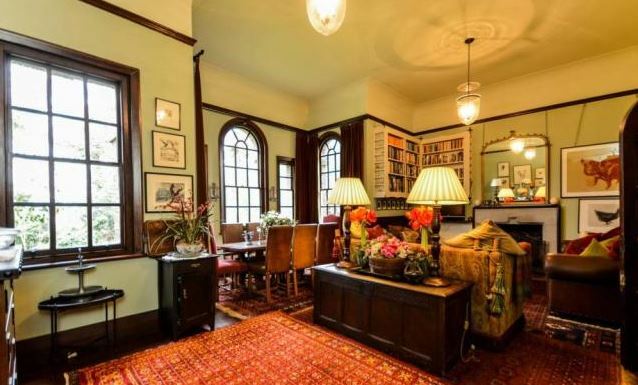 These properties are usually NOT for sale, but are included to help inspire readers as to the talent that abounds when the mind of a good architect meets the imagination of a unique property person. Something that little bit special is often created by the synergy. Also please don’t worry if the architect is a long distance away from your building site – modern technology has systems expressly designed to bridge what were once significant obstacles to remote design. With broadband, you can acquire international flavour in the blink of an Ipad. Enhanced by Skype and CAD, most things are now possible. 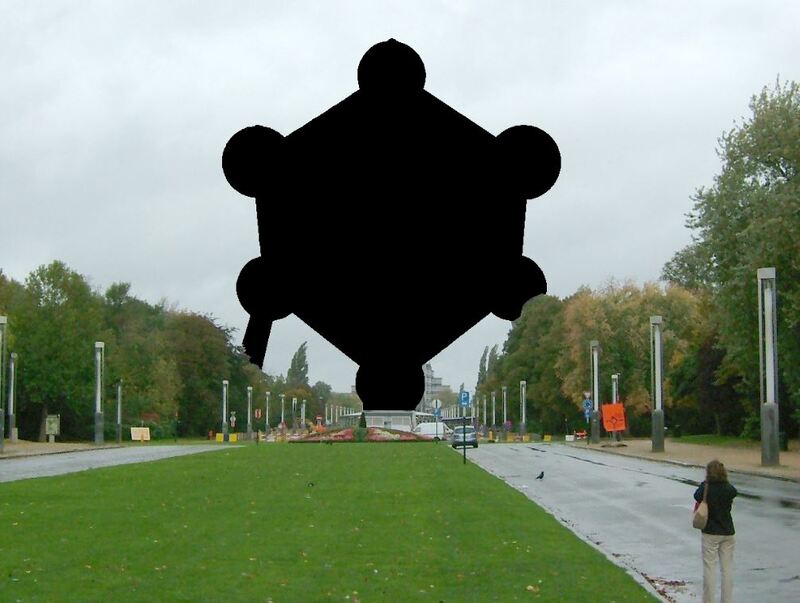 Given that an iron crystal is so minute it is not visible to the human eye, and the big building in the picture is approximately a hundred and sixty billion times that size and certainly is visible – this might help to give an idea of what the word billion actually means in perspective. A curious side note is the fact that the structure was subject Freedom of Panorama laws until recently, which led to the bizarre fact that the photograph below is what we would have shown towards the end of the last century. More information on the copyright issues surrounding Freedom of Panorama: click here. 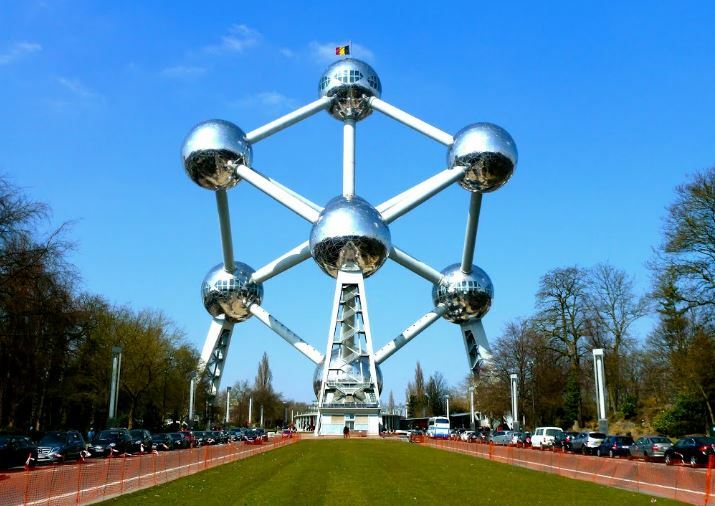 As to this Atomium building? You’d have to get permission from the museum, to reproduce a smaller version to build on your plot for a unique home. How practicable it would be is dubious. Although you would save a fortune in gym membership fees with all of those stairs, and if you were to put a small escalator in, that may run the household electricity bill up a little. But whatever else, this would be a brilliant place to live. Click on the picture above to watch the film. 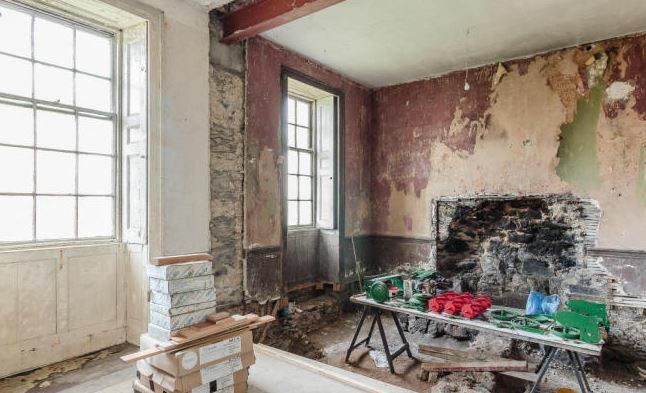 A new interactive addition to help readers in the quest to find and renovate their unique property? Answer: All across the world wide webs exist interactive internet forums. Places where members of any given group can exchange views, share information, help each other and much more. 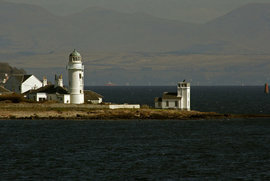 A lovely couple resident in Los Angeles had owned a lighthouse building in the UK for over 20 years. 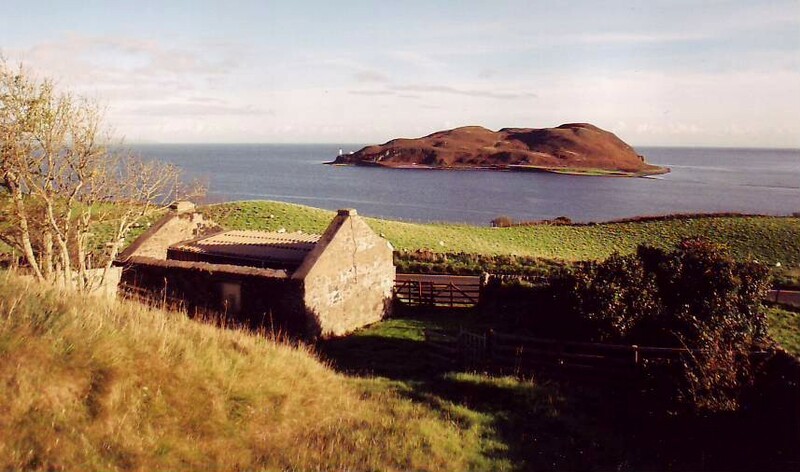 They travelled from the west coast of America to the east coast of Scotland and spent three months each year summering in their wonderful and beloved lighthouse keeper’s cottage. Now approaching their 80s, sadly the time had come to sell this set of buildings. 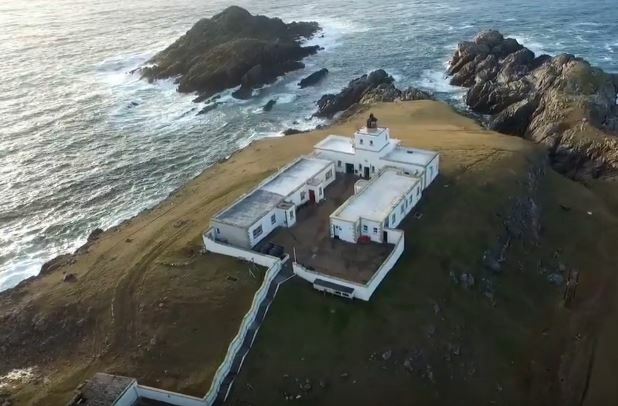 We were happy to feature their lighthouse in the Unique Property Bulletin. When the couple asked us to recommend an estate agency, we gave a selection of three. Without mentioning any names, there were ‘issues’ with the agency that troubled our lighthouse owner. 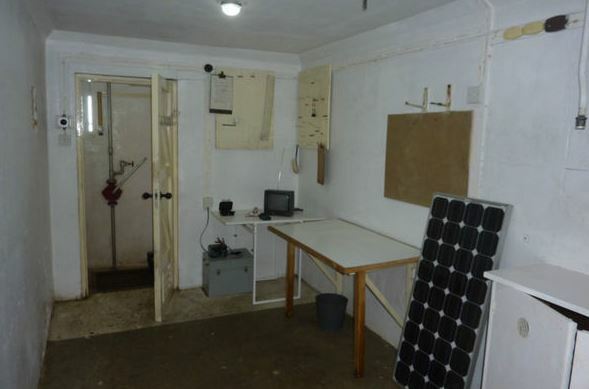 A main one being that someone – no names – flagged up his property for a possible price reduction as it was “listed”. A concept that is alien to many folk from America. The reason given to this couple to lower their price was because being “listed” carried a lot of onerous problems. The amount to be dropped off of the guide price was substantial. Tens of thousands of pounds lower. The gentleman telephone us for advice. We made no bones about it. 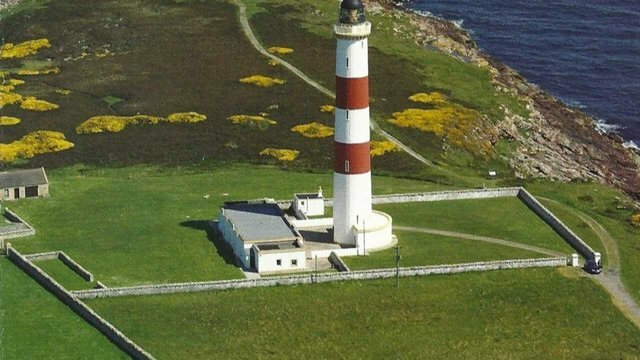 To be Grade 1 or as this was in Scotland, Category A listed lighthouse did carry duties, but we suggested a “listing” could be an exceptionally good thing and should be held as a mark of quality. To our American friend we advised the iconic Forth Road Bridge was Category A listed, just like his lighthouse. 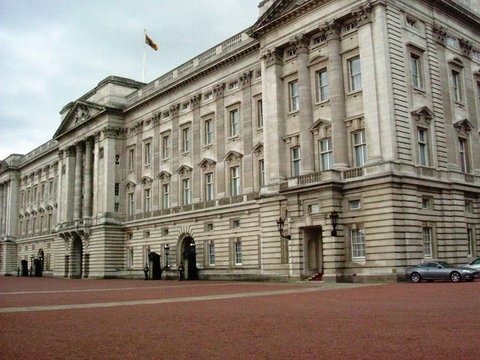 To emphasise the point, we also indicated buildings such as Buckingham Palace were Grade 1 listed. At that he understood our point. 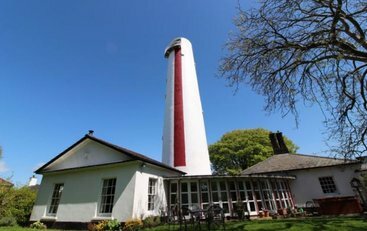 Our advice was unequivocal; under no circumstances reduce the price because the lighthouse buildings were Category A listed. The matter of an estate agency recommending this lovely couple drop their price put such a bee in our bonnet we boosted our own efforts to help them achieve a sale. Our sister website did just that. Well it was a joint effort as the eventual buyer of this lighthouse compound had bought the Unique Property Manual (here). 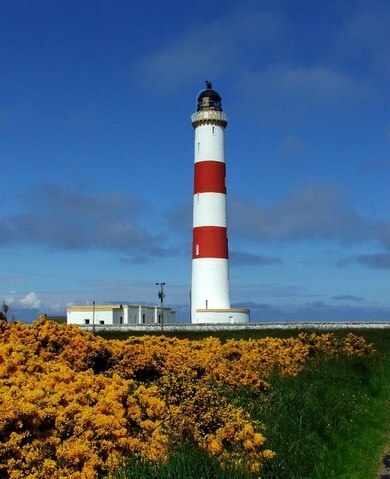 It was a delight when our reader ended up buying the American couple’s lighthouse. Although pretty irksome that we located and introduced buyer and seller, whilst the estate agent did not so much and trousered £5,000 in fees! The owner settled the estate agent’s invoice honourably and in full. Though the agency didn’t impress him that much. The evidence of this? He sent us an unsolicited cheque. 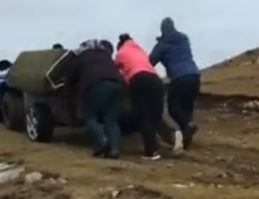 It was substantial – several hundred pounds. We did protest, but this genuinely delightful man insisted. 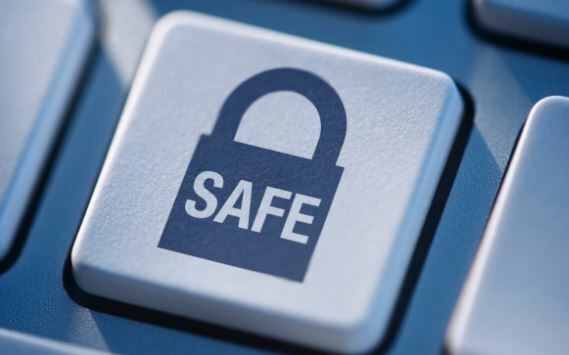 The reason why he ended up paying an amount that covered our webhosting fees for both of our websites for a full year with the cheque he sent in was the fact we helped him avoid dropping £20,000 to £30,000 on his price. This sort of information is not widely known on the main Unique Property Bulletin website – but it would be exactly the sort of thing that should flourish on a new, interactive forum. We are now asking you as a reader of the Bulletin whether you would favour a Unique Property Forum? Our main concern is the need for help in running such a facility. Moderators and Admins traditionally help keep these things on the rails. Some discussions can become quite heated. Methinks garden fence disputes! Other threads can attract the odd troll, or the plague of spam. This leads us onto the How? We already have some wonderful offers of help in recent Bulletin’s when we asked for IT support, help with our Google Ad HTML coding and just last month the call for assistance with the Kindlefication of Unique Property Manual into an Amazon e-book. Many folk got in touch for all three of these requests. Would you consider helping a new Unique Property Forum as a Moderator and/or Admin? Piano up the stairs or around by the cliff edge path! 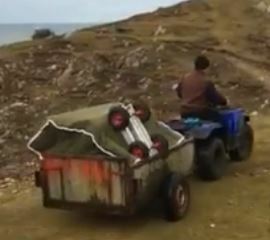 Better to roll the piano around the side and front of the lighthouse. Though please watch the cliff edge next to the path. 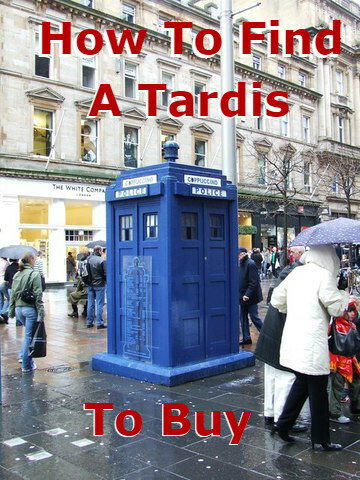 adverts. 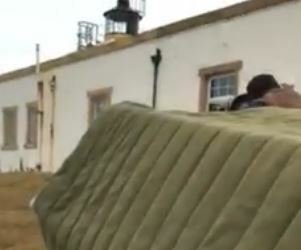 The lady – now a valued friend – sent us a little video clip of the fun and games getting that piano into the lighthouse home. We were able to help, but that was via private email. There is much on this last part that could – we think should be worthy of inclusion on a Unique Property Forum. Not just ourselves and readers sharing unique property leads, but a vast knowledge-bank of helpful information to add to that. Of course we are happy to help in whatever way possible via the email system (here), but there are hundreds, possibly thousands of questions relating to unusual properties, how to find them, the ways in which they can be renovated. It is also worth noting that we do our best to cover ALL geographic areas of the UK and ALL price ranges as our readers have varying budgets. But it isn’t always possible to get the balance perfect on any given edition of the Bulletin. Whereas if we add a Unique Property Forum, this would allow more flexibility and fine tuning to specific questions. Not to mention the ability to cover what is by any measure a broad spectrum of unusual properties. 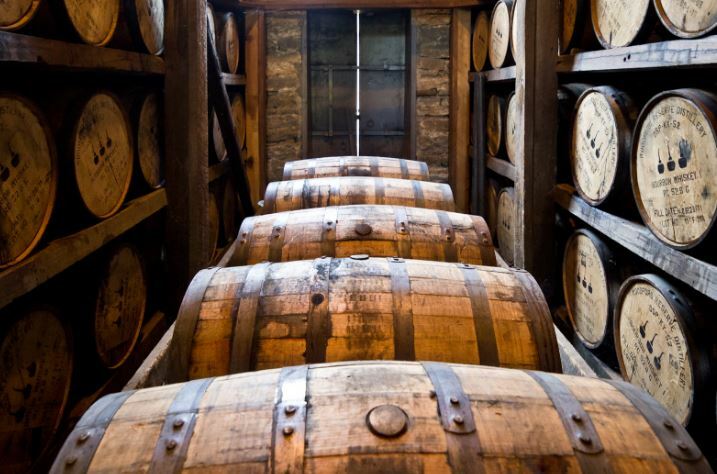 We’ve Actually Bought & Renovated One of These Distillery Buildings. Hotels are, of course, on our list of favourite ways to live. Have a quick look back you might have missed something useful. Next Full Edition At 9pm, 5th March 2017.